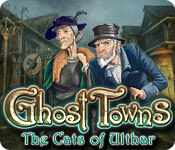 Ghost Towns: The Cats of Ulthar is rated 4.0 out of 5 by 87. Rated 5 out of 5 by cejene from Loved It! Very good. Fairly long game. Rather easy but it was so well done. Great HOS and a happy ending. You must be a cat lover! Rated 5 out of 5 by bulbulg4u from Its a nice game . . . Nice game if play as Expert . . . Rated 5 out of 5 by amma1951 from Cats!!! Liked game alot. Storyline is different, although the ending could have been better. Game kept my attention, and I liked the music. 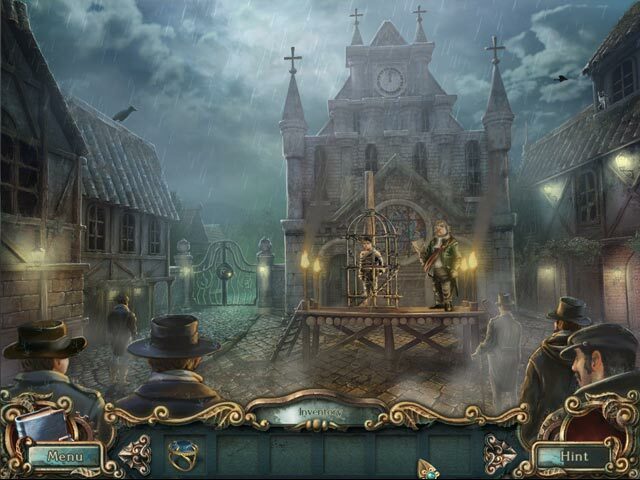 Rated 5 out of 5 by klfrr from Good HOPA game I liked the length of the game and the mysterious story line of how an orphan boy was pinned for murder. The puzzles weren't too hard, just right. Good graphics. Enjoyed and would recommend. Parents be warned, that there are a few HO scenes with possible scary objects, like an arm or a foot or just a scary head. Rated 5 out of 5 by BirdLover89 from Cute This was the cutest little game. I loved the Hint cat; it was so cute whenever a bug would fly by and get its attention. I had to rely on the Hint a lot to get where I needed to go so I heard enough meowing. It was cute though. I'm a cat lover anyway. More games like this would be nice. Rated 5 out of 5 by meow70 from Fun Fun game. Especially if you love cats. Rated 5 out of 5 by Chase_ from This was good! Overall, this game is worth the regular edition price. If you like cats and can get over that the cutscenes seem a little old, the rest of the game is quite nice. The HOs aren't too muddy and the music isn't annoying, and overall the story is fairly unique. The level of challenge presented is right in the middle; there were a few puzzle that were pretty challenging and maybe even one or two that I skipped, but not impossible. Most of the other puzzles were pretty easy. There are tons of items you get to pile up in your inventory and lots of back-and-forth things to do, but this wasn't nearly as annoying as it is in some games because you aren't presented with an entire sprawling world to back-and-forth over. It's just a very small town, so it wasn't anything to cry about. There's also a fun extra feature for you to collect all 24 cats hidden throughout the non-HO scenes, and while there isn't a reward for finding all the cats, it offers another level of challenge. Also; the fact that this game worked with my computer to play in windowed mode is another plus in my book. Rated 5 out of 5 by JustTheFacts from Just For The Fun Of It GAME COMPLETED MANY TIMES Okay, I admit it, I am the very definition of a crazy cat lady, but this is still a delightful little game to play. I liked the story. The locally revered cats suddenly go crazy and attack and kill an old mad couple. Menes, a young vagabond, is accused of using magic on them. We are enlisted by his sister to rescue him. 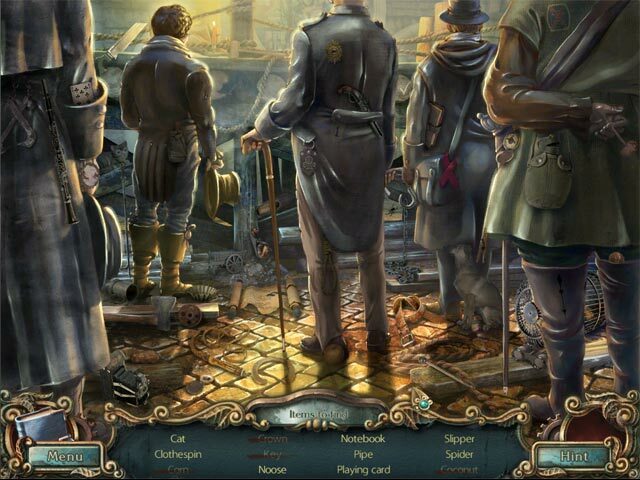 This leads to discovering the history of the town, rescuing cats, and seeing ‘justice is done’. It’s a very satisfying feel good ending, that rounds the story out well. Strictly for HO lovers, this game has many HO scenes, and each is visited three times. 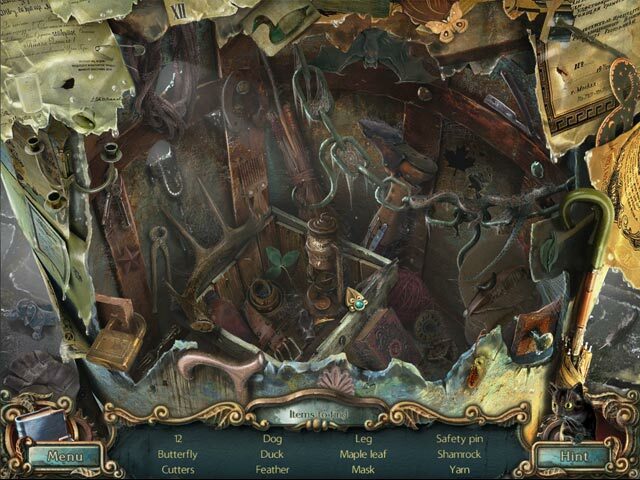 Each chapter one of several jigsaw-style puzzles appear – all easy. There is a fair amount of seek and find adventure, a few puzzles and mini-games, but this is a HO adventure. Viewed in that light it is a bit of light-hearted fun. Returning to this game after a year’s worth of extravaganzas and spectacles, my initial reaction was “Oh dear, the graphics are so grainy” – not poorly drawn, just, well, washed out I guess, like an old shirt. True, but we’ve been spoiled, and sometimes it’s nice to take a break from the visual feasts and enjoy the equivalent of a home cooked meal. I wouldn’t have wanted to pay CE price for this one, but as an SE, it is worth your pennies.